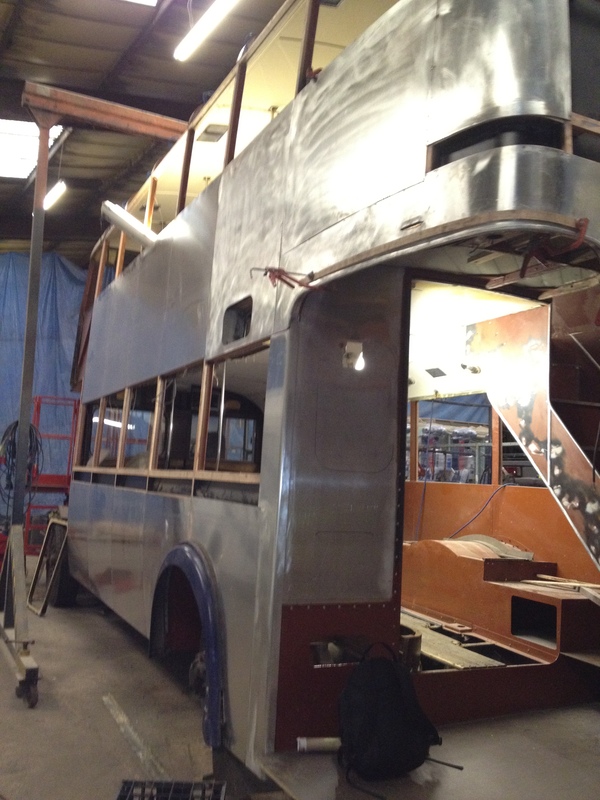 We were approached by the owners of this bus to discuss its restoration. This was the only surviving AEC Swift built for the former Birmingham City Transport. The owners had taken ownership of the bus in a fairly sorry state of repair and it had not run for many, many years. The restoration works proceeded at a pace to suit the client’s budget and involved the fabrication and replacement of all body panels, a complete engine and gear box strip down and overhaul, fabrication and installation of a new braking system, construction and installation of various parts of the frame and body infrastructure and a full body repaint and creation of transfers and livery to circa 1977 WMPTE livery. Only a moderate amount of work was carried out on the interior, although the cab area was full overhauled. The resulting bus is, as testified by the pictures below and the clients’ beaming smiles, simply stunning. The owners of this bus recognised that a significant amount of work was required in order to restore this bus – but what an interesting bus it is. In turn, it also made for an interesting restoration project. They say that “beauty is only skin deep” and this was certainly true in the case of JOJ 827! Many years ago, “acrow” props had been installed in the lower deck in order to prevent the collapse of the bus; in short, the poorly designed original side pillars which gave the bus its structural rigidity had corroded to such extent that, in some areas, very little remained of the pillars themselves. Corrosion had also taken a heavy toll on other areas of the bus, necessitating (notably) the fabrication of a completely new internal staircase. Replacement pillars were manufactured on site and all panels fashioned to fit.